Trust your loved ones with care from the compassionate team at Belleville Health Care, PC. Our staff believes that everyone should live a healthy and satisfying life, no matter what age they are! Our health clinic's senior care services diagnose and treat a variety of ailments that come with age. By carefully examining our senior patients, our team can evaluate their behaviors and physical demeanors to see if they’re showing symptoms of chronic diseases. Our same-day appointments give peace of mind to you and your family. When a member of your family needs care, getting them to a medical professional is your first priority. Our same day doctors' walk in availability is perfect for seniors who need to be evaluated at a moment’s notice, giving you and your family peace of mind. Our testing services assess their current health conditions, and we can provide a quick turnaround on results. 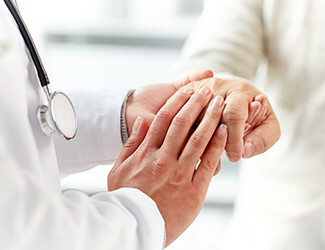 Should there be a need, we are part of a large network of doctors’ offices that we could refer your loved one to. At Belleville Health Care, PC, we understand that senior citizens need to frequently be seen by medical personnel to ensure a long and happy life. Those visits to the doctor’s office and the hospital can add up financially, putting stress on you and your loved one. We are proud to announce that we accept all types of insurance, on top of our already affordable pricing. Our staff firmly believes that everyone deserves access to quality health care, and price shouldn’t be something that prevents that. With old age comes the unfortunate and frequent deaths of those around a senior citizen, and that can take a toll on your loved one. Our counseling services help to cope with depression, bereavement and confusion that come with age. Our therapist will consult with your loved ones, learning about the root causes of their behaviors. They can then recommend appropriate treatments and have your loved one feeling back to themselves in no time. To get the treatment that your senior family member needs and fast, visit Belleville Health Care, PC today.